Lane Farm Bed & Breakfast01743 884288work FarmhouseLane Farm is a traditional 400 acre family organic working beef and sheep farm set beneath the Breidden Hills. Ideally situated to explore The Marches, Shropshire Hills and Mid Wales. Within easy reach of the mountains, lakes & coast. Ideal base for touring, walkers, cyclists & horse riders. Free fishing for one rod is available locally by prior arrangement. Guests are free to return at any time. Children welcome. We are an organic farm, and are luckily enough to have an amazing array of wildlife here, barn owls nesting in the barns and fields, bats living in the barns in the courtyard. Numerous house martins and swallows along with a variety of other birds make their nests around the house and farm buildings. We are at the base of the Breidden Hills a wild lovers paradise, and the river Severn is only a short walk away. We are a perfect base to sit and watch the birds or to walk and catch sight of the amazing wildlife this area has to offer. 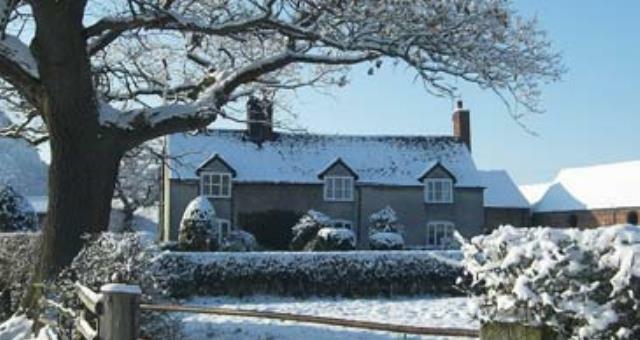 we are an organic farm in a stunning rural location with beautiful views to the Severn valley and the Breidden Hills. This area is a walkers paradise, with both the Severn way and Breidden Hills offering scenic walking to all abilities. The cycle route 81 is nearby offering a challenging route amid spectacular countryside. The grid shows the prices and daily availability from Fri 26 Apr 19 to Fri 3 May 19. It's easy to check availability for particular dates; just use the calendar to choose the check in date, select the number of nights and click the 'Search' button. Click the Book Now or Book Direct button to book the highlighted days. With Book Now the room booking will be confirmed immediately, with Book Direct the room reservation will be confirmed within 24 hours..
Lane Farm is a traditional 400 acre family organic working beef and sheep farm set beneath the Breidden Hills. 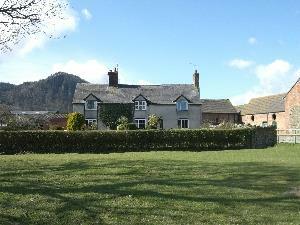 Ideally situated to explore The Marches, Shropshire Hills and Mid Wales. Within easy reach of the mountains, lakes & coast. Ideal base for touring, walkers, cyclists & horse riders. Free fishing for one rod is available locally by prior arrangement. Guests are free to return at any time. Children welcome. Ground floor rooms Children welcome from any age. Situated to the north east of the Breidden Hills on the B4393 near the village of Criggion between Crew Green and Llandrinio. 12 miles from Shrewsbury. 9 miles from Welshpool. Regret - No public transport available. We have tried to enable a less agile visitor to enjoy our accommodation with as much basic assistance as possible. However although the bedrooms are modern and well laid out, the older part of the house is over 400 years old, and therefore the odd step between rooms is inevitable. The garden is flat, but again due to flooding it is uneven in places. We will try our upmost to assist any accessibility issues that guests may have. Access statement is available upon request.